Senior Editor Val Cameron is back at her desk in New York. 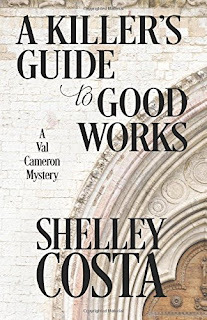 When her curator best friend returns from an abbey in England, she invites Val to see a priceless relic that has mysteriously found its way into her carry-on. But by the time Val arrives at the museum, her friend has been murdered - and the relic is gone. 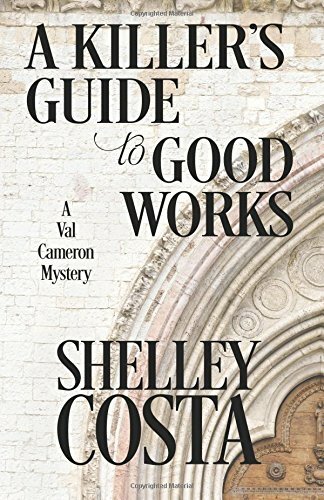 Val soon learns that a young monk at the abbey has also been murdered. Is there a single killer at work? What dark purpose is attached to the relic that's led to two murders? When Val discovers her apartment has been broken into, her native New York feels like a place she no longer knows. Now she has to unmask a killer who will stop at nothing to fulfill an ambitious plan - and Val Cameron is just the latest person to stand in the way. 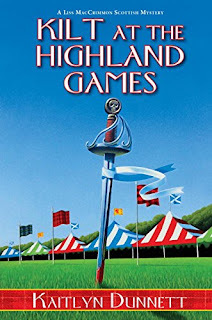 Val Cameron, New York book editor, receives a call one morning from her best friend Adrian Bale, saying she has something exciting to show Val - something she inadvertently picked up on a recent visit to England. But when Val is able to make it over to Adrian's place of work, she finds the area taped off by the police. It isn't long before she discovers that Adrian is dead, shot shortly after making her call to Val. Stunned, she can't figure out who would want to kill Adrian and why. Val's also dealing with a new writer, James Killian, who has a handsome face and charming style, but has a book she'd rather not publish; however, this too is an unavoidable situation, and although physically drawn to him, she manages to keep her feelings in check. While for the most part I enjoyed reading the book, I have mixed feelings about it. This is the second book in the series (the first being Practical Sins for Cold Climates). None of the characters - except Val (and Ivy) - are carried over into this book, which seemed odd. This means that if you've invested any time in getting to know and/or like any of the characters from book one, you're out of luck. For my part, I believe that in a series there should be more than one person carried from one book to the next, or it becomes "The Adventures of..."
I also thought there was just too much unnecessary detail. There was so much written about the satire, the crown, etc., for so many pages it just got tedious and slogged down the book. (It's like reading a Dan Brown book - if you like his works, you will probably like this). Yet we never learn much about the cult or the high council, or given any reasons as to why anyone would be drawn into it. I wasn't really drawn to Greta; in fact, there was nothing to be drawn to. She didn't have much of a personality and there wasn't anything about her that would make me want to spend time with her. I did, however, enjoy the character of Tali, who was wise beyond her years. Any of this notwithstanding, the book was well-written with the plot quite nicely thought out, giving the reader a story that combines fact with fiction, and the choice to believe if anything they have read has the possibility of being the truth. I usually follow the rule of three, wherein I will read three books in a series before passing judgment, so hopefully the next one will make it all come together. Recommended. 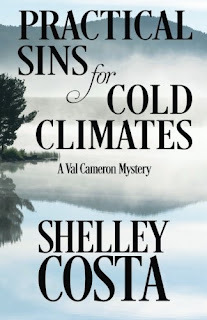 When Val Cameron, a Senior Editor with a New York publishing company, is sent to the Canadian Northwoods to sign a reclusive bestselling author or risk losing her job, she is definitely out of her element. Val is certain she can convince Charles Cable, but first she has to find him. 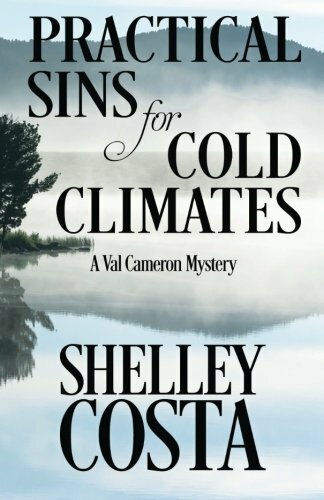 Aided by a float plane pilot whose wife was killed two years ago in a case gone cold, Val's hunt for the recluse becomes even more muddled. When all signs point to Cable as the killer, she must work to clear his name before the scandal sinks her career. Trapped in a wilderness lake community where livelihoods collide and a killer lurks, the prospect of running into a bear could be the least of Val's problems. Valjean Cameron is a New York book editor who has been sent to Canada to get a signed contract from recluse Charles Cable before anyone else hones in. Her boss Peter, really didn't give her a choice - get the contract or get a new job. It doesn't help that she and Peter recently broke up, and Val believes they're "soulmates" and belong together - she figures it's only a matter of time before Peter figures it out. What she's not happy about, though, is being in the north where she has no business being in the first place. She knows nothing of woods, camping, or any other mysteries Canada has to offer, and she'd like to keep it that way. After a rocky start and a lot of misgivings, she meets Wade Decker, Peter's friend and her guide to finding Cable, who comes and goes as he pleases. What she also discovers is that Wade's wife Leslie Selkirk Decker, was killed two years ago in what at first seemed an accident, but others consider murder, since, on the surface, everyone loved her, right? Only Val starts digging a little bit and finds out differently. Wade tells her to leave it alone but Val, of course, doesn't. What follows is Val's journey through the wilds of Canada to trap her elusive author and it's a jarring one for her - no fresh laundry, no comforts of home, everything she's been happy to avoid until now. When she finally reaches her destination and is almost ready to go home, this is when she finds out the truth of Leslie's death - a truth that will hurt her very core. This book is not just a murder mystery - it is a tale of secrets and lies, and how when kept too close to the chest can oftentimes lead to pain, betrayal, hurt, and a feeling that what one has lost in one human being can never be redeemed by another. To be honest, I didn't much care for the character of Val - she seemed shallow, self-serving, spoiled, and not the kind of woman I'd want to be friends with. I never really felt that she loved Peter, only that she had an obsession of sorts about him, wanting to make him love her. An adult realizes that you can't "make" anyone love you; but an obsessed person won't see this. It didn't seem realistic that everything she did, she did for Peter. There were redeeming qualities to the book that I enjoyed very much indeed, and they showed through: Raw pain - from Carolyn regarding Martin; Charlie regarding Marcus; Wade regarding his late wife (in that he knew he'd been used); but no raw pain from Val regarding Peter. That one bothered me a little bit. However, the one thing that stands with me is the fact that there are many people who pass through our lives; those we know will stay a short time and those we know will stay forever. When a man stands before you - naked under a waterfall, totally at peace with the world and with himself, you'd be a damned fool to walk away from that. This is an act of sheer beauty; not nature vs. man, but with man, someone who's been through whatever the world throws at them and can still find life worthwhile. Val would be an utter fool to allow him to leave her world. As far as the mystery goes, it was interesting enough, and I liked the surprise ending. It made the book come together well, and it helped that the characters were enough to make you care what happened to them. Ms. Costa's portrayal of not just the solving of a murder, but the people left behind and their shattered lives speaks volumes. As a start to a new series, this one does very well indeed. Highly recommended. With few other options, African-American classical musician Gethsemane Brown accepts a less-than-ideal position turning a group of rowdy schoolboys into an award-winning orchestra. Stranded without luggage or money in the Irish countryside, she figures any job is better than none. The perk: Housesitting a lovely cliffside cottage. The catch? The ghost of the cottage's murdered owner haunts the place. Falsely accused of killing his wife (and himself), he begs Gethsemane to clear his name so he can rest in peace. Gethsemane's reluctant investigation provokes a dormant killer and she soon finds herself in grave danger. As Gethsemane races to prevent a deadly encore, will she uncover the truth or star in her own farewell performance? Gethsemane Brown is a gifted musician who has recently been cheated out of a much-coveted position as an assistant conductor of a prestigious orchestra. She has also arrived in Ireland with her luggage and money stolen, having accepted a position to turn unruly schoolboys into an orchestra the school can not only be proud of, but to win a trophy the school's not had for seventy-five years. It is at least fortunate she's allowed to live at the cottage of her late idol, Eamon McCarthy. What she doesn't count on, however, is that the late Mr. McCarthy is still living at the cottage...as a ghost. When he realizes that Gethsemane can not only see him, but hear him, he pleads with her to solve his murder. While it has been determined that he threw his wife off a cliff in a rage, and then committed suicide in remorse, Eamon vows this is not true. At first Gethsemane refuses, but it it not too long before her curiosity gets the better of her and she agrees to help him. I enjoyed the book for the most part, with Gethsemane determined to find out the truth for Eamon as well as herself. I also liked the fact that she asked questions without being too invasive, therefore making it believable that she was only asking in the reasoning of wanting to know more about the inhabitants of her present living quarters. However, I didn't understand why she didn't have any money. Was her purse stolen? If not, why would you put money in your luggage, or even your carry on? This doesn't scream "intelligent woman" to me. The other things that bothered me about Gethsemane was the fact that she is written as strong, determined, self-willed, smart, brave, quick-witted, etc. In other words, a Paragon Among Women. She has a brilliant family (how many entire families do you know that are overachievers?) She has no problem going where she isn't supposed to, and without fear. She faces down people who wish to do her harm, without being nervous about the encounter. I would think at least in a couple of situations there would have been trepidation or nervousness, but I saw none of that. It made her appear almost robotic. Having a strong female character is great, but not if it seems as if she's stepped out of a scientist's lab. I did feel that there should have been more descriptions of the characters, as I didn't feel that I got to know any of them very well. But since this is the author's first book, I am hoping that we'll learn more as the series progresses. Aside from this, I felt it was an interesting twist regarding the murderer (for we know there is one), and it all came together quite well. I felt that the writing was sharp and the plot one that has a very interesting premise. This, my friends, is a book you can sit down, get a cup of coffee or tea, and contentedly read into the night. Recommended. It's a dark day for Scottish barrister Rex Graves when he learns that Lord Gordon Murgatroyd has passed away. Referred to as "Judge Murder" by Rex's colleagues, the famously severe judge supposedly died of natural causes - but his daughter Phoebe thinks otherwise. Wanting to honor the man who'd always been uncharacteristically kind to him, Rex thinks it would be a good idea to follow up on Phoebe's suspicions...until a meeting with a suspect leaves him drugged and beaten within an inch of his life. With a target on his back and a child abduction case gripping the region, Rex fears that the judge's death won't be an isolated incident. Rex Graves, a charming Scottish barrister, reads one morning about the death of a judge who was not well-liked by many, but who always had been kind to him and mentored him. He decides to call the judge's daughter to offer condolences. 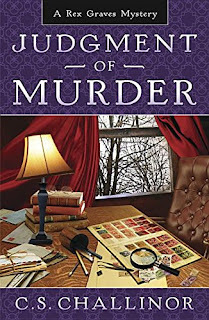 Although the judge was elderly and it appears he passed away in his sleep, Rex is surprised to learn that Phoebe thinks her father was murdered, and since she knows of Rex's success in solving murders, asks his help to prove it. So Rex decides to meet with Pruitt because he finds this tenuous connection to the judge. It seems many years ago Judge Murgatroyd convinced a jury not to convict Mr. Pruitt in the murder of a young girl, as he didn't believe there was enough evidence to do so. Yet after all these years, Pruitt has the suspicion still hanging over his head, and has been trying to find the real murderer in order that he may be vindicated at last. I can say no more about this book without giving it all away, but it is truly wonderful to observe Rex's brilliant mind work as he begins to take each piece and put it together until he has the puzzle complete. 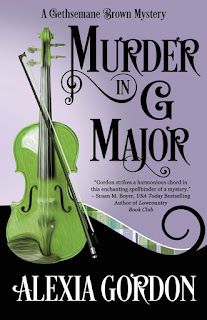 This formidable and intelligent Scottish barrister is as much fun to see in action as Sherlock Holmes; as he begins to take each occurrence and connect them together to form the solution and find the murderer. In the end, the reasoning behind the murder is rather twisted and sad, yet when the murderer is caught (as we know the person must be), it is a gratifying conclusion and nothing appears contrived or hurried; we are given a convincing conclusion to a very good tale indeed. 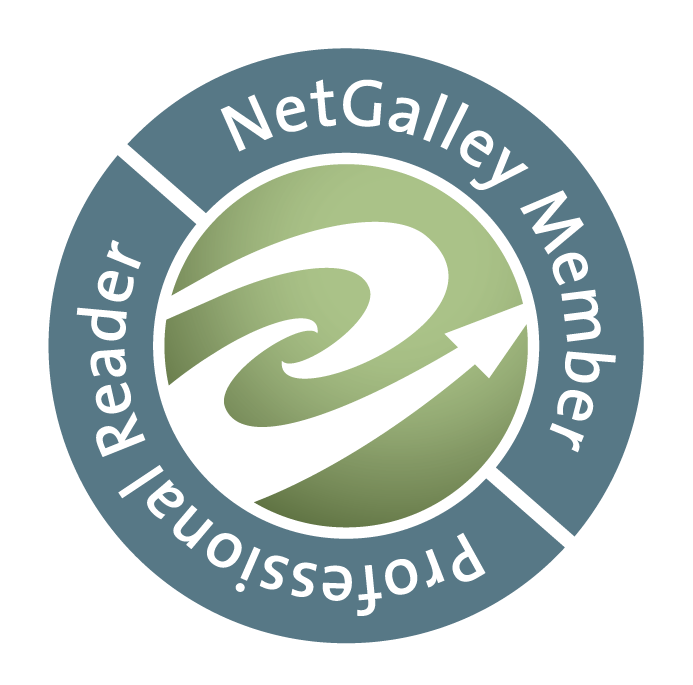 Ms. Challinor has given us another delightful Rex Grave mystery; her ability to weave a story is akin to watching a beautiful tapestry be woven right before our eyes. We are given first one thread and then another, and eventually they are all bound together flawlessly. This is a story that is pleasant and enthralling; and I anxiously await the next in the series. Highly recommended. When a fire ravages the local bookstore late one evening, Liss immediately fears the worst for owner Angie Hogencamp and the two young children who live above the shop. After the terrible blaze dies down, however, the family is nowhere to be found among the ruins. It's as if the three just vanished into smoke. Or even stranger -- like they never existed at all. 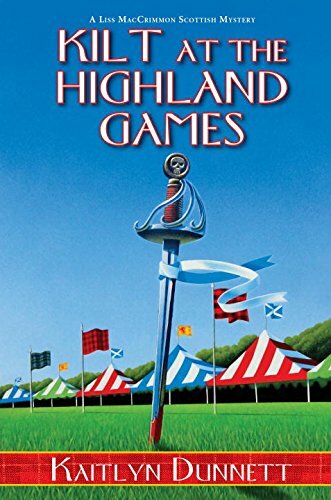 Disturbed by Angie's disappearance and suspecting arson, Liss counts on the weekend-long Western Maine Highland Games -- complete with a parade and fireworks display -- to offer a temporary distraction from the countless questions filling her head. But when the sound of a gunshot leads Liss to selectman Jason Graye's dead body on opening day, she's drawn into a full-blown homicide investigation like a moth to a flame. Liss MacCrimmon and her husband Dan are sleeping one night when they are awakened by a siren in the middle of the night and the smell of smoke. Running to the window, she sees that it is the bookstore across the square, the one owned by her friend Angie Hogencamp. Once the fire is extinguished and it is determined that Angie and her children, Beth and Bradley, were not in the building when it went up in flames, it leaves another question: where are they? Their car is also missing, yet when Liss questions anyone nearby Angie's home/bookstore, it seems none of them remember her leaving, nor has she been seen since at least the day before the fire. Once it's pretty well decided that the fire was arson, Liss is more than ever determined to find Angie, refusing to believe that she would torch her own business for any reason. But she also has other things on her mind: Jason Graye, a local real estate agent/selectman, wants to use eminent domain to take (what's left of) Angie's property for the town, and is also determined to shut down the local library. The local librarian is resolved to see him removed from the board, and is enlisting Liss's help; a tourist is making her miserable by questioning the authenticity of her shop's wares and running off customers; and her young cousin Boxer is worried about Angie's daughter Beth, who is also his girlfriend. I truly enjoyed this book, it is an easy read and a clever one. 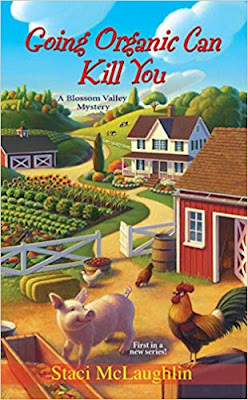 There are enough twists and turns to please even the most die hard cozy mystery fans, and suffice it to say that All is Not What it Seems. The most innocuous conversations can have hidden meanings, hidden secrets turn out to be both good and bad, and sometimes even people we thought we knew turn out to be someone else entirely. The characters are well-defined and believable; there is a mashup of people who are interesting, humorous, and, in one case, downright intimidating. Ms. Dunnett creates a town that we all might not want to live in (being a Big City girl myself), but we would probably want to visit at least once in our lifetime. This was a truly delightful read, and I was sorry to see it end. 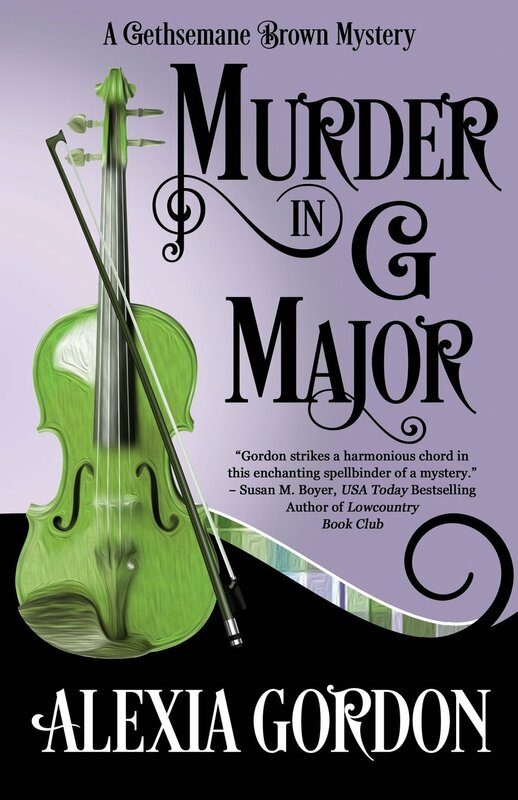 This is the ninth book in the Liss MacCrimmon mysteries, but it can be read as a stand alone, there is enough information given throughout the book so that you don't feel like you've missed something by not reading the others. When we finally come to the end of the book, we realize that sometimes what doesn't seem like evil can be anywhere around us, and we get the satisfaction of having finished a very good book indeed. Highly recommended. More on Kaitlyn Dunnett's books: https://www.fantasticfiction.com/d/kaitlyn-dunnett/ .